So the Bandit has finally broken up for his christmas holiday yay! It’s been a hell of a busy one, with the old foe Ofsted making a visit, although I’m pleased to say it was the news we wanted from their visit. The Bandit is very happy and proud of the work of my colleagues and our awesome children. Our team had put our celebrations for this until Thursday gone and boy did we celebrate!!!! As this is the last blog before our jolly friend pops down our chimneys can I wish all of you who reads and puts up with my ramblings a very merry christmas and a prosperous New Year and I am really grateful for all of you who take the time each week to read and retweet this blog, means a lot! My twitters gamble friends have selected their best bets for today and they’re hoping for a profitable day! Good luck with whatever you’re selecting today and lets hope we all win a bit of our old enemy to line our wallets for the Christmas shenanigans! FIREBIRD FLYER 1405 HAYDOCK (NAP) – (unplaced – £5.00) I backed this guy first time out over hurdles the other week and he didn’t disappoint on ground similar to today. It’s going to be pretty bad ground at Haydock and this guy will sluice through it. His mark is pretty good and hasn’t shifted after his hurdles success so he could still be well in. He normally takes a while to get going and to win first timeout was unusual so there is possibly more to come, I hopeful of a very big run! RUN RUNCTIONS RUN 1440 HAYDOCK (NB) – (2nd – 100-30 = £2.08) this guy impressed me loads last time here at Haydock over the distance today and only ON TOUR got near him then and he had some pretty smart horses well behind. The ground will be fine and his 3lb rise is fair and I think he will run a big race again today. GASSIN GOLF 1530 ASCOT (TREBLE) – (PU = -£5.00) this horse has always had a race like this in him. He always seems to come second and never quite wins! He has yet to win a hurdle race but I think he has been targeted specifically at this and then the future races after. He has lots of great form in the bag with the likes of VIBRATO VOLTAT and others being behind him in his races. He could be on a very winnable mark and the ground shouldn’t be a problem. I love a big handicap and trying to solve it and I’m hoping I have found a nice priced solution! ZARKANDAR 1425 ASCOT – (2nd – 4-6 = £0.41) is a smart horse and won well last time France with REVE DE SIVOLA behind. I can’t see that form being reversed and I think he is also too good for AUBUSSON. Should be a straightforward success. The blog returns post Christmas and The Bandit is still in a spin with a the festivities and travelling. I'm currently in Burnley visiting my parents and sat here looking out on a picture devoid of any snow. The comparison to Bandit Towers in Sheffield couldn't be more different with a foretold 15cm lying there! Thank god I'm here! There is some cracking racing on offer today and hopefully I'll have a change of luck as I've been bloody dire recently! This guy was being touted as a potential Arkle candidate last season before a few very novicey jumps. He has always been thought highly of and knowing his connections they have been giving him lots of schooling. The testing ground should really suit him today and I'm expecting a big run. This horse ran well in a few small field chases last year before finding the Scottish National too much after a blunder. Interestingly moves to the Bowen yard who know how to win this! He loves testing ground and if his jumping has improved he could run a big race. I'm hopeful of at least a place. I've also had a little on EMPEROR'S CHOICE, who has run well the last twice and will relish the ground. GAS LINE BOY off a big weight may run well too and this race reminds me of my old mate TIDAL BAY who ran so well in it the other year! A cracking renewal! Mercurial talent and prone to breaking blood vessels but is a class horse and his third last time at Sandown was really good and that should be enough to give BALDER SUCCESS something to think about. With a solid round of jumping and his body being kept in otrder he has to have a great chance. Another smart horse with some smart form in his locker! This really is a cracking race and the likes of GOD'S OWN and VIBRATO VALTAT are exciting times. I dont think it will be soft enough for MELODIC RENDEZVOUS to return to the winner's area though. My tip was second in this last year and wasnt disgraced in the Arkle and he could be a second season jumper to follow, he's certainly smart enough! We I must say I’m a tad disappointed by the racing on offer today. There are some class horses on show but the number of entries really is poor. Other than the big chase at Cheltenham there is not much handicapping which The Bandit loves to try and solve. However, beggars cannot be choosers and we still have the likes of Rock on Ruby, The New One and Caid Du Berlais on offer. One more week of work left to go before the big Xmas break, I’ve managed to get most of the old shopping done so can sit back and relax and enjoy the festivities. The boys return for a twitter gamble this week, only one winner Lightening Rod me out of last week’s bet, but we remain ever hopeful! IKORODU ROAD 1340 DONCASTER (NAP) – (3rd – 7-1 = £4.37) has a decent record here and won in 2012 here beating JUNIOR off a mark of 131. Today he runs off 134, this being a previous winning mark and only a pound higher than his last success in October 2013. Hr has also had a couple of near misses here and while he can go better over further I think the ground will be really tacky today and play to his strengths. GRANDDADS HORSE did me a real favour last time at Ascot and gave me a tidy profit but he prefers better ground and I think he will struggle today giving my horse 5lbs. ROCK ON RUBY 1545 CHELTENHAM (NB) – (WON – 5-4 = £3.90) what an old favourite this guy is. Ran in snatches last time over a trip a bit too sharp for him but he was still there trying to give more at the end. This is his race for the taking today, especially getting 5lbs from LAC FONTANA and he doesn’t have a penalty to carry for the first time in eons!!! Game on!! SOLAR IMPULSE 1325 CHELTENHAM (TREBLE) – (PU = -£5.00) I have been really impressed with this horse this year, and he’s still only a baby yet! Ran well at Wetherby on good ground beating TURN OVER SIVOLA and then just found MONETAIRE too good last time on ground a little soft. Today he has slightly better ground and despite a 5lb rise I still think he has more to offer. CAID DU BERLAIS 1400 CHELTENHAM – (PU = -£5.00) I honestly didn’t think he would have enough to win the Paddy Power but the more I look at that performance the more I like it. To beat JOHN’S SPIRIT in that manner and he is a damn good yard stick at Cheltenham was nothing but impressive and I think they have turned him out quickly again because they think they have a smart horse here. I tend to agree, this is very competitive too but he looks like he has more to offer and a 5lb rise may not stop him. The Bandit hasn’t got the time to write an in-depth blog today. Taking my girls swimming, daddy duties call! Its been a busy old week with no other than OFSTED rolling up to the Bandit’s workplace! We had some positive news however! MON PARRAIN 1330 AINTREE (NAP) – (unplaced = -£5.00) what a ridiculous price this fella is. Ran really well here when second a couple of years ago and I had him when he won well at Cheltenham. His recent spin will have brought him on loads and I’ve always thought he was a proper horse. The slightly better ground will hep him too. HINTERLAND 1500 SANDOWN (NB) – (3rd 12-1 = £7.50) this horse I have always liked too and he has been a bit hit and miss lately. Nicholls has a great record in this and Fehily on board is a real plus. He likes it here and I think he will run a big race. 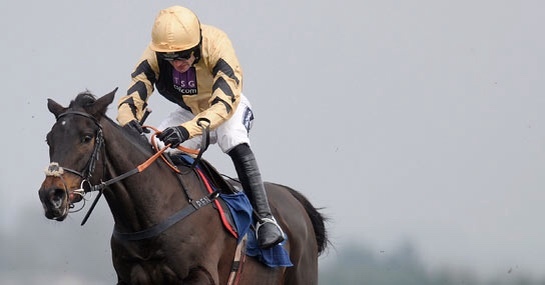 HOLYWELL 1440 AINTREE (TREBLE) – (FELL = -£5.00) my old favourite! His recent spin at Carlisle will have sharpened him up and with Richie back on board he will taker this today despite the stable being a bit quiet. ROLLING ACES 1515 AINTREE – (4th 8-1 = £4.50) ran a cracker last time behind WISHFULL THINKING and I said then to lump on the next time he is out. Drops in class and will take the beating in this today!